SOUR’s music video for “Hibi no neiro” is nominated in the Music category for the 2009 Japanese YouTube Video Awards. To vote for the band, click the “please clap- GOOD!” button under the video on the Awards page. 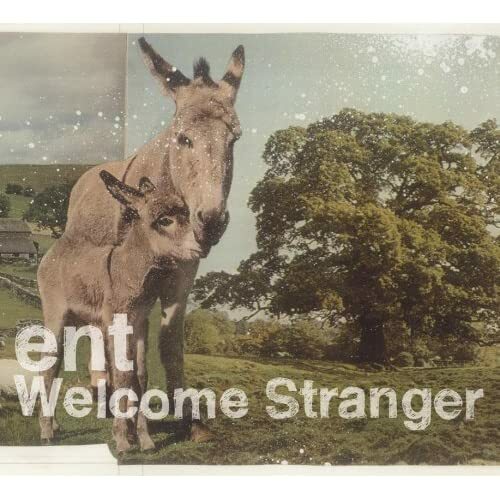 Californian indie label n5MD will release ent’s debut album Welcome Stranger in the US/worldwide in 2010. The US release will contain all 7 songs from the Japanese release plus 3 remixes. Ent is the solo project of Atsushi Horie, frontman of STRAIGHTENER and FULLARMOR. Welcome Stranger was originally released in February 2009 by Preco Records. The album, 3 years in the making, was a more personal and sentimental journey for Atsushi. Heavily influenced by electronics and post-rock, Atsushi combined these elements with pop sensibilities from his other projects. This is the funniest thing I’ve seen all week. And I’m not talking about The Heiz’s misunderstanding of the English language. I’m talking about Dave Dingwall. Can’t get enough of sleepy.ab’s new album Paratroop? Here’s your chance to hear their vocalist in a different setting. “Longing to Love” is Nariyama Tsuyoshi and DJ Tama’s collaboration on DJ Tama’s 2006 album Melting Pod. I believe this is the first time we’ve heard Nariyama sing in English. That’s a lot of pink. If you don’t have a Hot Topic near you, you can order them online here or here. You are currently browsing the J-Rock Explosion blog archives for December, 2009.